Catlin Gabel is one of 10 leading independent schools that co-founded the Global Online Academy (GOA), a nonprofit consortium of leading independent schools from around the world that began offering online high school courses in 2012. We are honored that our own PLACE urban studies class, taught by George Zaninovich, was one of the five inaugural courses. GOA courses allow Catlin Gabel to expand what we offer, and help students test their passions in ways typically unavailable on a single campus. 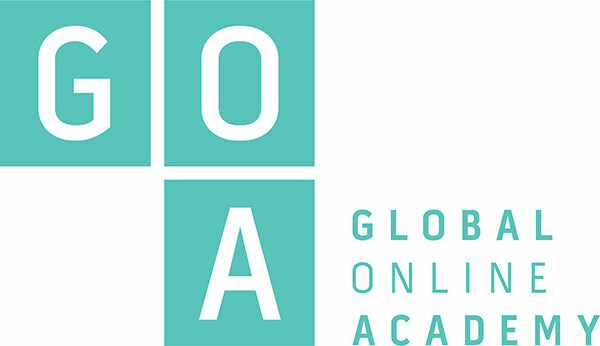 The GOA Student Experience from Global Online Academy on Vimeo. Students take GOA courses for credit at Catlin Gabel. GOA course workload and course intensity is equivalent to courses taken on our campus. Unlike many online courses, students are not passive receptors of pre-recorded lectures from their teachers. Instead, students collaborate on challenging and interesting projects with students from around the world. They are also expected to manage their workload and time effectively to support the asynchronous nature of the courses. GOA maintains excellence through rigorous teacher training, building on the best practices and values of leading independent schools—and by ensuring classrooms stay at a small size that fosters strong teacher-student relationships and student-to-student collaboration and interaction. With Global Online Academy, teachers and students can share their voice on a global stage, improving learning and enabling the pursuit of individual passions. Interested in Taking a GOA Course?